Hello and Happy Wednesday! Hope you are having a fabulous week so far! I'm getting packed and ready for an 8 day cruise so believe me... I'm super ready for the work week to be over! Things are finally settling down at work and it's a great time to get away from the office for a while! I'll be working on blog hop and design team cards all week so that I'll have everything posted before I leave. 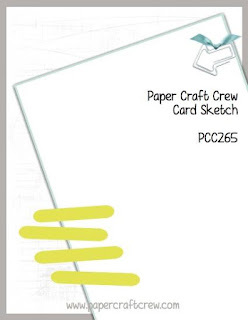 Today I'm over with my friends at the Paper Craft Crew with a card for a new sketch challenge! Hope you'll head over and check it out! 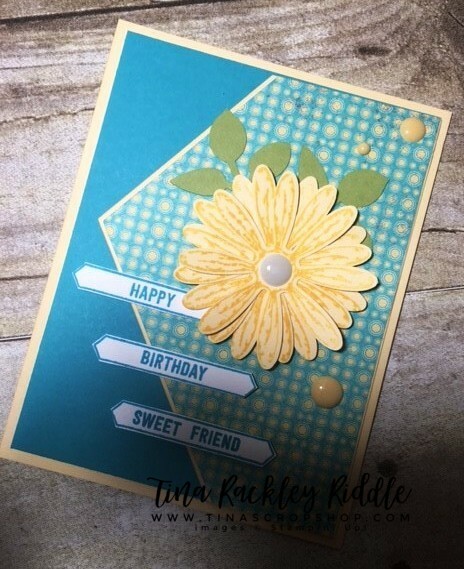 I decided to finally use my Stampin' Up! Daisy Delight Stamp Set and coordinating Daisy Punch. I really like it and can't believe that I haven't already been using it! I needed to make a quick birthday card for a friend so this worked out to be an awesome sketch for that! I love this Tina!! I'm a sucker for anything Daisy! Is this stamp set still available?